This was a long one today. Clocking in at 3 hours long (and really, what Scorcese/DiCaprio movie doesn’t?) 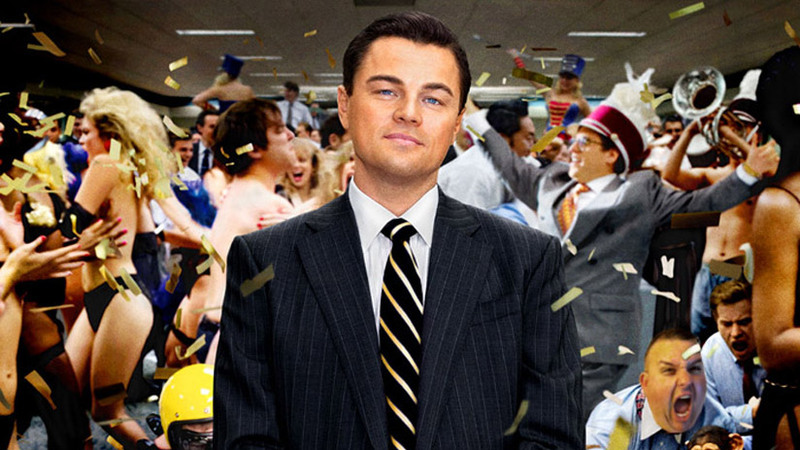 today’s FNE Movie Month film is The Wolf of Wall Street. Aren’t I just an amazingly descriptive writer? I can paint a picture with my worlds. Great movie? Is that all that I have???? This is my 18th movie and 18th post in 18 days, I have a feeling the posts are going to start being less about the movie of the day and more about the way I am running out of things to say. Let me try to focus. I love these long Scorcese movies. I love that they’re long and don’t rush you. They take their time building up their main character only to have him torn down. They make you like him, they make you hate him. They make you laugh and they make you cringe. They make you want the life of their main character and then make you frightened for even thinking that thought. And of course, Scorcese gets great performances out of his actors. Leonardo DiCaprio might be the best American actor today. The guy goes full tilt crazy in this movie and never takes his foot off the pedal. And Jonah Hill - love him in all his comedies but the dude is a real frigging actor. He was slimy and funny and obnoxious and a prick and just so believable. And I had no idea that Margot Robbie was my favorite actress until I saw her…..I didn’t sound too shallow when I said that did I? The Aussie beauty did a pretty damn good NY accent, worked great alongside Leo, and I think we’re going to get to know that name a lot more in the next couple years. 18 down. 12 to go.